As fall approaches and music festival season comes to an end, Atlanta shows no signs of slowing down. 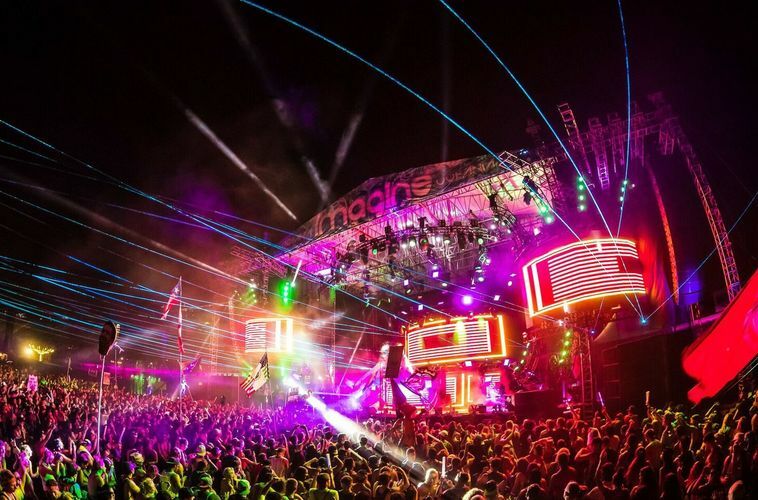 Held at Atlanta Motor Speedway, Imagine Music Festival is a multi-stage, electronic dance music (EDM) experience entering its fourth year. This aquatic-themed event continues to make waves in the festival scene as it was voted one of the Top 30 festivals in the world by Fest300 and USA TODAY highlighted it as a Top Ten Emerging Music Festival. Imagine held the inaugural festival in 2014 in Atlanta’s Old Fourth Ward neighborhood. After two successful years, the event outgrew the Eastside and relocated to Atlanta Motor Speedway for the 2016 edition, adding the option for festivalgoers to camp at the grounds. Imagine offers basic camping options along with VIP and glamping, complete with souvenir or weatherproof canvas tents. If attendees decide to camp or glamp, there is much to experience beyond stage sets. Cirque acts and performances take place throughout the festival grounds, dubbed The Imaginarium. Art installations are present amongst the event space for fans to enjoy, some of which are located at a giant splash pool with VIP cabanas and complimentary floaties. Morning Yoga and Silent Disco offer festivalgoers even more activities to participate in during the weekend. Imagine Music Festival kicks off with performances beginning Friday, Sept. 22 and concludes Sunday, Sept. 24. Headliners for 2017 include international artists Above & Beyond, deadmau5 and Tiesto. For the first time, select ticket holders will have access to the festival grounds before it officially starts on Thursday, Sept. 2.